Tokyo Otaku Mode™ (TOM), a worldwide distributor of otaku content including anime, manga, and cosplay, as part of Tokyo Otaku Mode Inc. (incorporated in Delaware, U.S. by President and CEO Tomo Kamei) has begun collaborating with the influential and rapidly growing news website, The Huffington Post (http://www.huffingtonpost.com) by providing otaku-related entertainment articles. 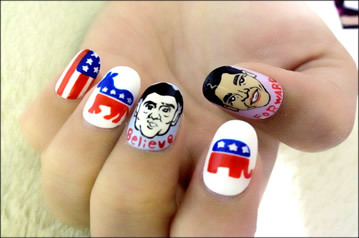 The first articles feature latte and nail art of President Barack Obama and presidential nominee Mitt Romney (http://huff.to/XiJ8or, http://huff.to/TuTXfS). The Huffington Post, a member of The AOL group, was established in May 2005 by Arianna Huffington. The website features articles written by a core group of well known columnists, as well as bloggers and celebrities, and includes a wide range of topics including politics, business, entertainment, lifestyle, world news, and comedy. This year, The Huffington Post won the highly esteemed Pulitzer Prize for journalism. It is anticipated that this collaboration will greatly increase user satisfaction and activity for The Huffington Post and TOM. TOM also hopes to increase their user base as well as gain worldwide recognition as a global distributor of otaku content. Tokyo Otaku Mode™ (TOM) was created on March 24, 2011 by President and CEO, Tomo Kamei. TOM was incorporated in the state of Delaware, U.S. in April 2012. TOM began on Facebook (http://www.facebook.com/tokyootakumode), the world’s largest social networking site, as a page for introducing news and events related to otaku content to the world. Within 19 months of operation, TOM has accumulated over 7.4 million Likes on Facebook, becoming the largest Facebook page managed in Japan. TOM’s website, otakumode.com is currently undergoing β testing. TOM’s new web service will provide a platform for fans and hobbyists of otaku culture to share content, connect with one another, and for content-creators to be fully credited for their work. TOM hopes to create a community of respect between content-creators and fans, while enriching the otaku lifestyle and contributing to the global entertainment market.